Cover letters can seem like a waste of time when you’ve already crafted a strong resume, but they’re important because hiring managers often use them as the first step in deciding who to call in for an interview. 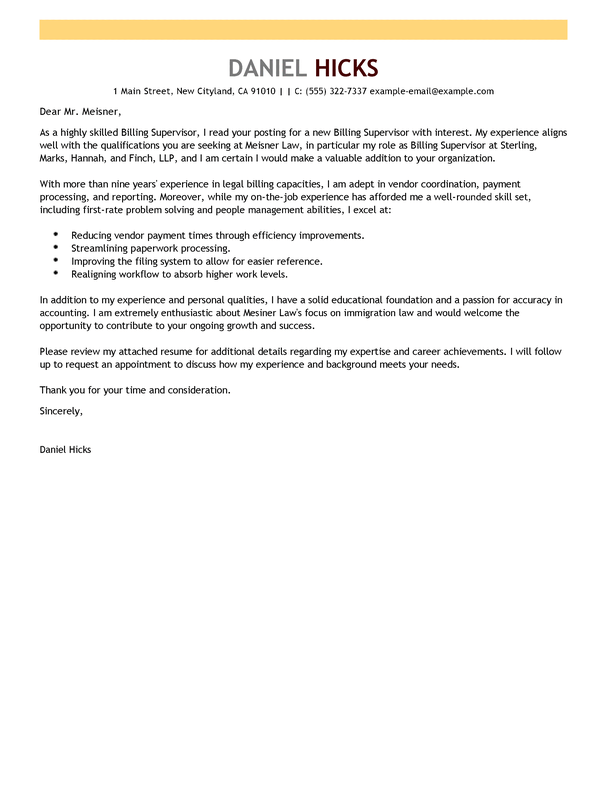 Read the cover letter writing do’s and don’ts and the legal billing clerk cover letter example for a good idea of the style and content of an attention-grabbing cover letter. Do expand on the information in your resume. Recruiters want to see not only duties you’ve had, but skills you learned on the job and traits that make you a strong legal billing clerk. 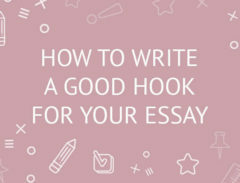 Don’t write about how the position will be great for your career. Instead, show how you will be an asset to the company, as the applicant in the example does by listing his important skills in bullet points. Do think about including quotes or feedback from previous employers or coworkers to prove that you can be a strong employee and a team player. Don’t use a generic salutation. Legal billing clerks are expected to be meticulous, so do some internet research to find the appropriate name, and address your letter to that person. 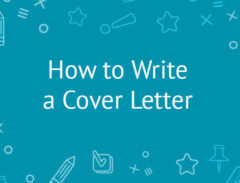 To get a job as a legal billing clerk, you’ll need a compelling cover letter, and the cover letter examples below are designed to help you write one. A legal billing clerk tracks costs and billable hours for busy law firms. 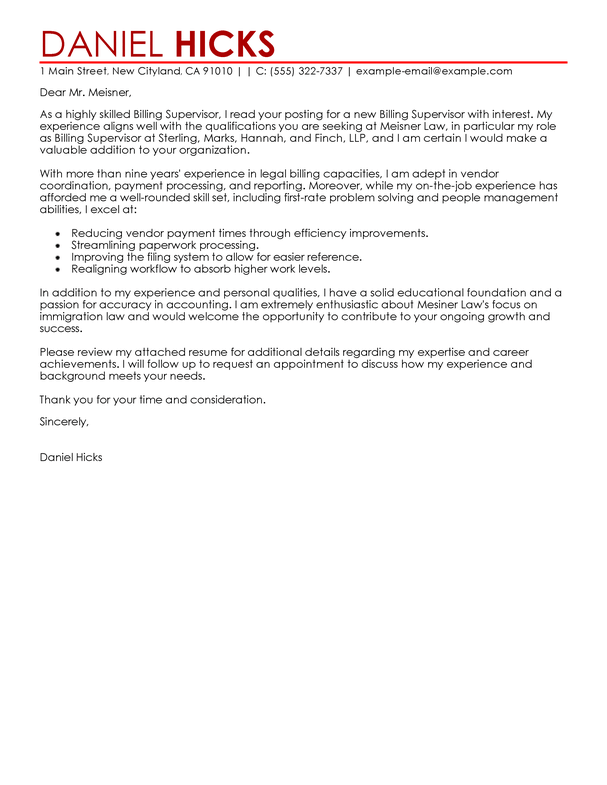 These cover letter examples will show you what hiring managers are looking for in terms of experience from a legal billing clerk. Click on any of the samples to get started! If you are looking for jobs as a Legal Billing Clerk, it is important to develop your job seeking skills. The right skills can boost your chances of finding a job. You can use the following tips to help you while you search. 1. Take advantage of opportunities to network with others. You can attend social events, career fairs, and networking activities to meet with people and discover new job opportunities. It is also smart to maintain an active presence on social media sites. This is becoming one of the most effective tools for finding a job. 2. Create a plan for your job search. Determine what you need to do each day to find a job. When you are planning, set goals and try to think outside of the box. Then, make sure to stick to your plan. 3. Follow up regularly. Consistent follow up communicates your interest in obtaining a job, and it ensures that you are not forgotten. Be persistent and follow up until you receive a Âno” response. 4. Stay tough mentally. Searching for a job can be discouraging, and it will probably take some time. With the right attitude, you will be able to present a better image when you are networking and interviewing. 5. Understand your options. Determine what jobs and fields you are qualified to work in. Then, apply for relevant jobs in these categories. 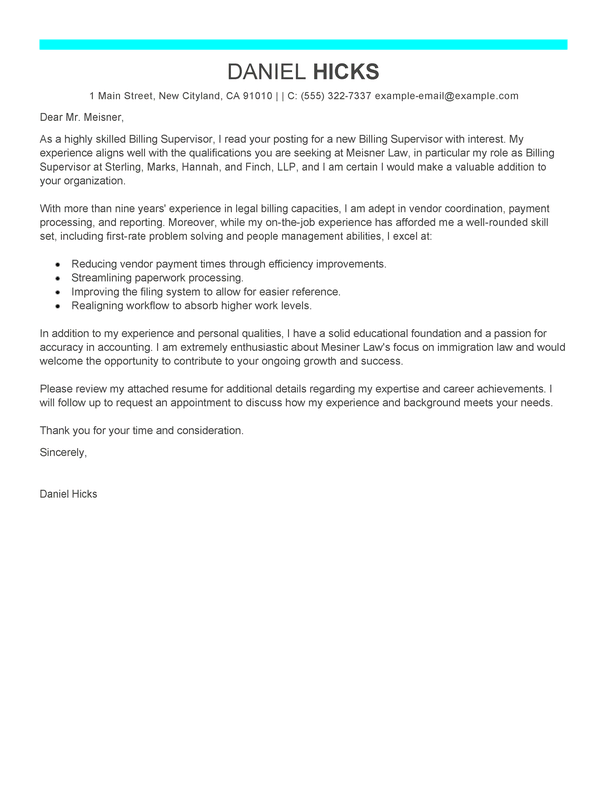 Part of finding jobs as a Legal Billing Clerk involves creating an appealing cover letter. This cover letter needs to highlight the main reasons you are right for a job. Use the following tips so you can create a cover letter that appeals to today’s hiring managers. 1. Make sure your cover letter is easy to read and scan. Avoid large paragraphs or clumps of texts. Instead, use sections, bullet points, lists, and bolded tittles. 2. Include your contact information on the cover letter so a prospective employer knows how to get a hold of you. You should include your city, state, email address, and phone number. have a space at the top for this information. 3. List your work experience in chronological order, starting with your most recent job. Relevant volunteer work can also be included in this section. 4. The top section of your cover letter should be used to highlight your main skills and accomplishments. This is a helpful preview for an employer, and it can increase your chances of landing an interview. 5. cover letters can be longer than one page, especially if you have a lot of experience. Doctors and people who work in academics often have cover letters that are longer than two pages.